Luncheon of the Boating Party is generally regarded as one of Renoir's early masterpieces. Though, like most of Renoir's works, it is not without its critics. When Renoir produced Luncheon of the Boating Party he was beginning to paint more informal canvasses in which the normal distinction between sketch and finished painting was gradually being lost. The work of the Impressionists was already under much scrutiny and comments from author and critic Emile Zola in particular could have been one of Renoir's motivations for creating Luncheon of the Boating Party. Zola wrote a review of the Impressionist show and labeled the artists as a "sloppy, self-satisfied group of forerunners inferior to what they undertake". Needless to say Zola did not hold such artists in high regard. To many people such disapproval seemed ridiculous but it seems that Renoir took such criticism to heart and was determined to create a masterpiece to disprove Zola´s theory. It wasn't until 1883 that Renoir felt he could no longer continue with Impressionism but many believe that Luncheon of the Boating Party is already evidence of a changing style. With this and other works Renoir felt that his technique was becoming too loose and that the distinctiveness of the forms was being lost. To overcome this, he studied past works and visited Italy for inspiration. It was also around this time that Renoir began to see more limitations with painting plein air and that is why most of this canvas was executed in the studio. He felt that painting straight from nature made compositions impossible and too repetitive. Making such changes gave Renoir a fresh outlook and enthusiasm for his work. In his analysis of what is possibly Renoir's most famous and happy canvas, Theodore Duret questions whether this is a truly joyful painting. Duret argues that if we look at the lips and eyes of the cast it is possible to see Renoir's discomfort with the mixing of social classes. He claims that the most remarkable thing is the relationships between the people in the painting. Studying their lips and gazes, it appears that there are no real connections between the cast members. Although some people are smiling, they do not seem to meet each others' stare. 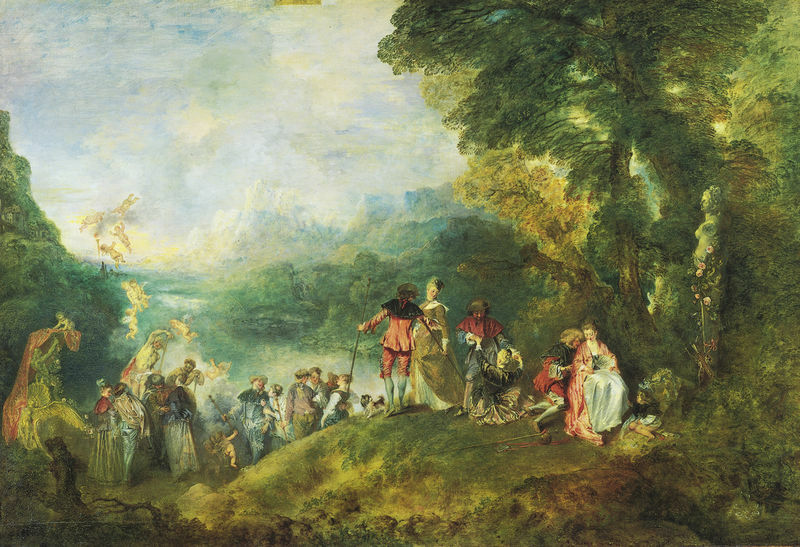 Despite featuring a large group of people, it seems that no-one in this painting looks at each other. 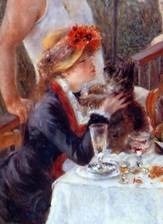 The only two cast members who are exceptions from this rule are Aline Charigot, Renoir's future wife, and her dog, who look directly at each other, and this adds weight to the idea that Renoir felt most comfortable with Aline. None of the women in the canvas are having as much fun as she is which could show be a reflection of his affection for his girlfriend at the time. Yet, despite such claims, Duret adds: "But one cannot imagine these women, as they are here, having been painted by anybody else. They have the free and easy manners one would expect of young women who have lunched and are enjoying themselves with a group of young men, but they also have that graciousness, that roguish charm, which Renoir alone could give to women." Renoir is known for painting some of Impressionism's most celebrated images of lighthearted leisure and the theme portrayed in Luncheon of the Boating Party was a popular one among the Impressionists. As the critic Rene Gimpel stated: "The Impressionists show their particular talent and attain the summit of their art when they paint our French Sundays... kisses in the sun, picnics, complete rest, not a thought about work, unashamed relaxation". Throughout the 1880s and 1890s Renoir developed his new style and with works such as Luncheon of the Boating Party he reveled in new-found support and international acclaim. 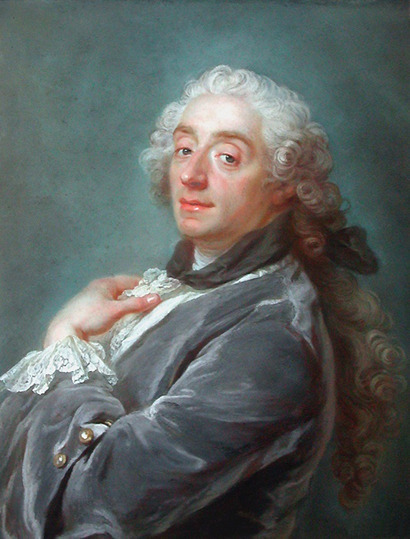 The value of the works he produced during this time has, by and large, continued to this day. Renoir is regarded as a joyful painter who reveled in depicting pleasant scenes. An artist who continually developed his technique, Renoir was greatly influenced by painters such as Watteau, Boucher and Monticelli, but be brought to the table his own style and elegance.